The Blackdown Hills is an AONB and an NE Focus Area. 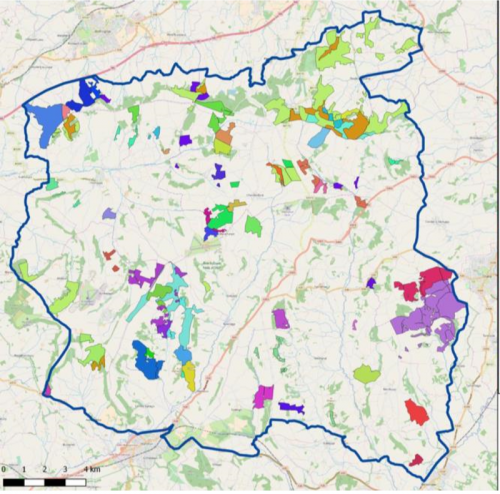 Biodiversity – Important spring-line mire (187ha) & habitat mosaics, ancient semi-natural (427ha) and wet woodlands, lowland heath (162ha), species-rich hedgerows and riparian habitats all occur. All six priorities for restoration will be addressed. Significant populations of priority butterfly species and lesser horseshoe bat maternity roosts occur. There are several SSSI’s and Quants SAC. Water – The headwaters of the four rivers (failing WFD) are a flood mitigation, natural flood management and water quality priority area. Existing initiatives to encourage targeted tree planting and woodland/track management will be promoted. Historic Environment – Numerous monuments (including WW2 sites) have issues linked to invasive scrub encroachment (two Scheduled Monuments at risk). Undesignated traditional farm and non-domestic buildings are abundant. Woodland – The area is a FC ‘Woodland into Management’ target area. Existing farm/wet woodlands are a particular priority. There are also opportunities for planting for biodiversity, water quality and flood risk. Landscape – The top priorities are species-rich hedges/hedgerow trees, permanent pasture and bankside features. The area is characterised by small, traditionally-managed farms with medieval field boundaries up the valley sides. Multiple Environmental Benefits The river catchments are a key location for this approach. 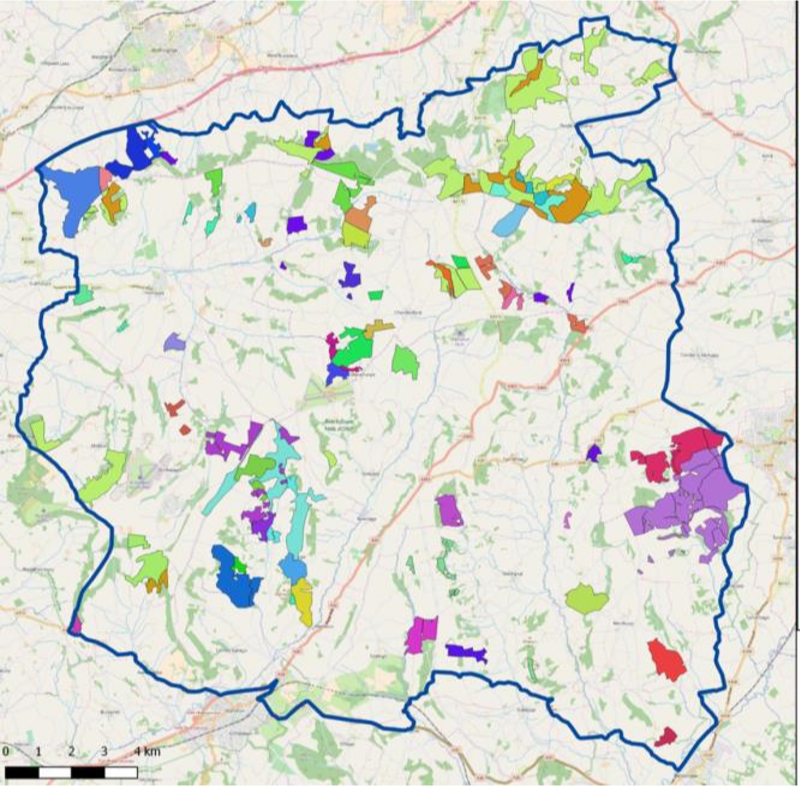 The area is well wooded and there are significant opportunities to bring undermanaged woodlands back into management, unlocking multiple benefits and supporting farm businesses’ sustainability.